Higher intakes of foods containing omega‐3 long‐chain polyunsaturated fatty acids (LCPUFA), such as fish, during pregnancy have been associated with longer gestations and improved perinatal outcomes. This is an update of a review that was first published in 2006. To assess the effects of omega‐3 LCPUFA, as supplements or as dietary additions, during pregnancy on maternal, perinatal, and neonatal outcomes and longer‐term outcomes for mother and child. 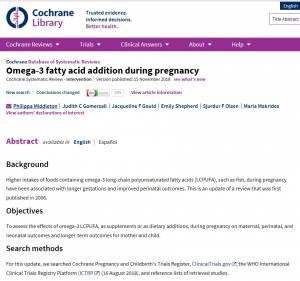 Randomised controlled trials (RCTs) comparing omega‐3 fatty acids (as supplements or as foods, stand‐alone interventions, or with a co‐intervention) during pregnancy with placebo or no omega‐3, and studies or study arms directly comparing omega‐3 LCPUFA doses or types. Trials published in abstract form were eligible for inclusion. In this update, we included 70 RCTs (involving 19,927 women at low, mixed or high risk of poor pregnancy outcomes) which compared omega‐3 LCPUFA interventions (supplements and food) compared with placebo or no omega‐3. Overall study‐level risk of bias was mixed, with selection and performance bias mostly at low risk, but there was high risk of attrition bias in some trials. 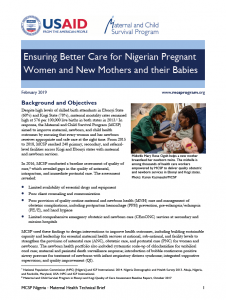 Most trials were conducted in upper‐middle or high‐income countries; and nearly half the trials included women at increased/high risk for factors which might increase the risk of adverse maternal and birth outcomes. Preterm birth < 37 weeks (13.4% versus 11.9%; risk ratio (RR) 0.89, 95% confidence interval (CI) 0.81 to 0.97; 26 RCTs, 10,304 participants; high‐quality evidence) and early preterm birth < 34 weeks (4.6% versus 2.7%; RR 0.58, 95% CI 0.44 to 0.77; 9 RCTs, 5204 participants; high‐quality evidence) were both lower in women who received omega‐3 LCPUFA compared with no omega‐3. Prolonged gestation > 42 weeks was probably increased from 1.6% to 2.6% in women who received omega‐3 LCPUFA compared with no omega‐3 (RR 1.61 95% CI 1.11 to 2.33; 5141 participants; 6 RCTs; moderate‐quality evidence). 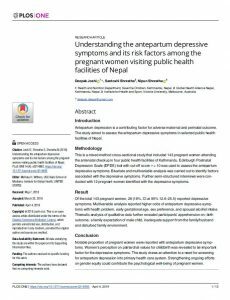 For infants, there was a possibly reduced risk of perinatal death (RR 0.75, 95% CI 0.54 to 1.03; 10 RCTs, 7416 participants; moderate‐quality evidence: 62/3715 versus 83/3701 infants) and possibly fewer neonatal care admissions (RR 0.92, 95% CI 0.83 to 1.03; 9 RCTs, 6920 participants; moderate‐quality evidence ‐ 483/3475 infants versus 519/3445 infants). 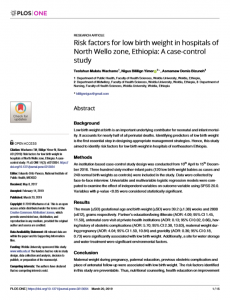 There was a reduced risk of low birthweight (LBW) babies (15.6% versus 14%; RR 0.90, 95% CI 0.82 to 0.99; 15 trials, 8449 participants; high‐quality evidence); but a possible small increase in large‐for‐gestational age (LGA) babies (RR 1.15, 95% CI 0.97 to 1.36; 6 RCTs, 3722 participants; moderate‐quality evidence, for omega‐3 LCPUFA compared with no omega‐3. Little or no difference in small‐for‐gestational age or intrauterine growth restriction (RR 1.01, 95% CI 0.90 to 1.13; 8 RCTs, 6907 participants; moderate‐quality evidence) was seen. For the maternal outcomes, there is insufficient evidence to determine the effects of omega‐3 on induction post‐term (average RR 0.82, 95% CI 0.22 to 2.98; 3 trials, 2900 participants; low‐quality evidence), maternal serious adverse events (RR 1.04, 95% CI 0.40 to 2.72; 2 trials, 2690 participants; low‐quality evidence), maternal admission to intensive care (RR 0.56, 95% CI 0.12 to 2.63; 2 trials, 2458 participants; low‐quality evidence), or postnatal depression (average RR 0.99, 95% CI 0.56 to 1.77; 2 trials, 2431 participants; low‐quality evidence). Mean gestational length was greater in women who received omega‐3 LCPUFA (mean difference (MD) 1.67 days, 95% CI 0.95 to 2.39; 41 trials, 12,517 participants; moderate‐quality evidence), and pre‐eclampsia may possibly be reduced with omega‐3 LCPUFA (RR 0.84, 95% CI 0.69 to 1.01; 20 trials, 8306 participants; low‐quality evidence). For the child/adult outcomes, very few differences between antenatal omega‐3 LCPUFA supplementation and no omega‐3 were observed in cognition, IQ, vision, other neurodevelopment and growth outcomes, language and behaviour (mostly low‐quality to very low‐quality evidence). The effect of omega‐3 LCPUFA on body mass index at 19 years (MD 0, 95% CI ‐0.83 to 0.83; 1 trial, 243 participants; very low‐quality evidence) was uncertain. No data were reported for development of diabetes in the children of study participants. In the overall analysis, preterm birth < 37 weeks and early preterm birth < 34 weeks were reduced in women receiving omega‐3 LCPUFA compared with no omega‐3. There was a possibly reduced risk of perinatal death and of neonatal care admission, a reduced risk of LBW babies; and possibly a small increased risk of LGA babies with omega‐3 LCPUFA. For our GRADE quality assessments, we assessed most of the important perinatal outcomes as high‐quality (e.g. 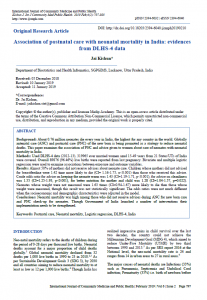 preterm birth) or moderate‐quality evidence (e.g. perinatal death). For the other outcome domains (maternal, child/adult and health service outcomes) GRADE ratings ranged from moderate to very low, with over half rated as low. Reasons for downgrading across the domain were mostly due to design limitations and imprecision. Omega‐3 LCPUFA supplementation during pregnancy is an effective strategy for reducing the incidence of preterm birth, although it probably increases the incidence of post‐term pregnancies. More studies comparing omega‐3 LCPUFA and placebo (to establish causality in relation to preterm birth) are not needed at this stage. A further 23 ongoing trials are still to report on over 5000 women, so no more RCTs are needed that compare omega‐3 LCPUFA against placebo or no intervention. 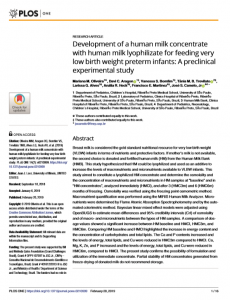 However, further follow‐up of completed trials is needed to assess longer‐term outcomes for mother and child, to improve understanding of metabolic, growth and neurodevelopment pathways in particular, and to establish if, and how, outcomes vary by different types of omega‐3 LCPUFA, timing and doses; or by characteristics of women.